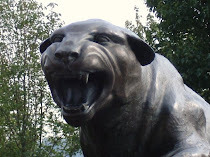 CARDIAC HILL - A Pitt Panthers Blog: What More Is There To Say? 500 yards - that number still boggles the mind...especially since Pitt has given up that many yards in TWO games already this year. First, I think Bob Smizik in the PG has it right when he says Dave Wannstedt should not be fired. You've got to give him this year to see what direction Pitt is headed in. Since the 13-9 win over West Virginia, Pitt is 13-5 - not too shabby. Paul Zeise has an interesting list of top ten Pitt losses and includes the N.C. State debacle. The only comment I have is that I think he has the Sun Bowl loss way too low (#9). Yes, it was a postseason game after a pretty decent season, but it was disappointing because it kept Pitt from reaching ten wins for the first time in I think about 25 years AND because all they needed to do was score more than three points to win. That game was agonizing and I'd put it at least in the top five. Besides the defense, the offense's 2nd half performance has to take some blame. Oh, and penalties didn't help either. Cam Saddler looks like he's the real deal. Brian Bennett at ESPN.com has a slew of Pitt-related tidbits including Dion Lewis' national rankings, ranking Pitt fourth in the conference, and stating the obvious - that Pitt is having serious defense issues. Then there was the Wannstedt press conference today. It was amazing how many times Adam Gunn's name was brought up. Kind of ironic considering the game Dan Mason had last week. It really seemed that while Wannstedt wasn't blaming Mason for the loss obviously, to me, he made it seem like it could have been a whole different ball game if Gunn was available. Of course, I'm not buying that. I don't even think I can buy the fact that it would have mattered much at all. After the loss, Pitt comes in at #36 in the Sportsline.com's rankings of all 120 teams. 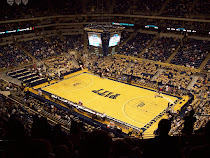 On a side note, Pitt's next home game vs. UCONN will either be noon or 3:30. Please be 3:30. They are going to be lucky to win 6 games this season.